Weather is nothing new for triathletes. Weather happens and it’s unpredictable. We take what we get, even revel in the added challenge. With all the talk of climate change, what exactly is climate change? And what impact is it already having on triathlon training and racing? You can take positive steps to ride the climate wave. Weather is what happens in a place from day to day: cold and rainy today, warm and sunny tomorrow. Climate is the usual weather pattern of a place: hot and humid in the summer, cold and snowy in the winter. Earth’s climate is what you get when you combine all the climates around the world together. 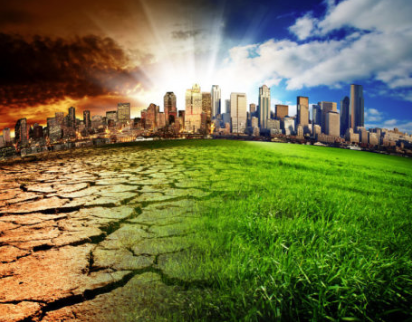 Climate change is a change in normal patterns found in a place or in the Earth’s climate: amount and location of precipitation, humidity, length and location of heat waves or cold spells, increased storm intensity, etc. Weather can change in a matter of hours where climate changes over hundreds or millions of years. Scientists generally think that Earth’s temperature and climate are changing and we are in a warming trend. Information on climate change can be confusing. This has as much to do with the true nature of weather, unpredictable, as it has to do with what we see with our own eyes and experience in our daily lives. Although I have no scientific evidence of this phenomenon in triathlon, it is only my time in and observation of the sport that has brought me to the conclusion that weather has had an increasing and stronger effect on endurance races over the past 5-10 years. This trend is very likely to continue. Ironman North Carolina in 2016 shortened its bike course after Hurricane Matthew; Ironman Maryland postponed and changed its course after Hurricane Joaquin in 2015. Smoke pollution from California’s King wildfire caused the cancellation of Ironman Lake Tahoe in 2014. In 2018, multiple smaller and single sports events were canceled or postponed because of wildfire pollution in the Pacific Northwest and into Canada. Snowshoe races are canceled in the Northeast and Rockies because of lack of snow. Hurricane Florence forced the cancellation of the 2018 70.3 North Carolina. Followed a few weeks later by Hurricane Michael in November, Ironman Florida was moved to another location and date. Ironman Hamburg canceled the swim in 2018 because of high levels of harmful bacterial blue-green algae that grew because of persistent hotter temperatures and more sunny days during Europe’s summer heat wave. “It’s what we must deal with now,” Bjorn Steinmentz, operations director for Central European Ironman on the Hamburg swim cancellation. The climate may be changing, but we are a resilient sport of dedicated athletes and human beings with a strong sense of community. When race venues are affected, great humanitarian support and community action can often be a result. Prepare for warmer weather. Train in the heat and understand nutrition and hydration needs by doing a sweat test. Heat simulated indoor training also helps your body adapt to hotter conditions. Prepare for ANY weather. Bring extra gear, just in case, for warmer or colder conditions than predicted. Climate change also means unpredictable local weather conditions. For example, it could be unseasonably cold in a normally warm place, like Florida. Adjust expectations. With warming conditions, race times may be slower, especially on the run. Adjust your attitude and know that the race director has your safety and the safety of the community in mind when making changes. Sometimes we don’t easily see all that’s going on behind the scenes. Be flexible and be prepared when changes happen. Change up your routine to include duathlon training if, for example, a swim is canceled. Bring extra nutrition on race morning to compensate for a delayed start. Plan races around your strengths and have a backup plan. If you race well in the heat, go for the southern races. If you have to miss your key race, is there another race you can do? Safeguard your health. If weather conditions might cause injury or illness, skipping the race altogether is an option. In training, plan your sessions earlier or later in the day or indoors for a more controlled environment. Be tactical about where you choose your destination race. After May, stay north of Oklahoma or North Carolina. Avoid coastal areas in the fall months (hurricane season). In the summer, July to September, wildfire season hits states in the west and southwest. Sign up for races and book travel as late as possible. Would you be open to an alternative race if yours is negatively impacted by weather? Accept the conditions of the day. Don’t make yourself crazy over variables that you have no control over. Focus your energy on what you can control. Buy the insurance. If your race offers it, buy it. Race directors have contingency plans. They don’t want to cancel their events. They’ve got your back. If there’s another option, they will offer it to you. 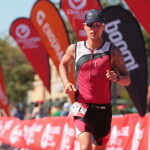 Ironman often provides entry into their other races or a deferment to the following year. Again, be flexible. Enjoy warmer, dryer conditions in the winter months for unexpected outdoor training sessions. Training and preparation for a race is a process, a dynamic, flexible process. Enjoy and embrace the process, and any unexpected roads you travel. The outcome will take care of itself. Loudin, Amanda. Climate Change is Already Shaping the Way We Race. Outside Magazine online. October 8, 2018. Kuzma, Cindy. What Will Climate Change Mean for Your Favorite Marathon? Runner’s World online. August 28, 2018. Borunda, Alejandra. 36-Year Climate Change Record Found in Cycle Racing Footage. National Geographic online. July 10, 2018. 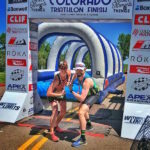 Race day warm-up: does it really make a difference?